Free for a limited time! Get Dragon Age: Origins on the house! The average price for this game since released is $13.74. The game first became 50% off on Mar 3, 2011 at Amazon. Lowest historic price was $3.99 on Sep 3, 2018 at GOG.com. My top pick in the GOG Summer Sale is Dragon Age Origins: Ultimate Edition for $3.99. New low by a buck. Everything from the best Dragon Age 80% off. Dragon Age Origins plus all its DLC will cost you $30 on Origin right now, but only five in GOG"s DRM-Free weekly sale. This has the Origins Ultimate Edition matching its historic low last seen way way back on December 2014. Hot deal. One of the best RPG games for the price of a footlong sub? Dragon Age Origins: Ultimate Edition a mere five bucks at GOG today in their Spring Sale. Historic low price point. Dragon Age Origins: Ultimate Edition is now DRM-Free? Indeed, starting today she's for sale on GOG without the need for the Origin Client. DRM-Free release discount also gets the price down from $20 to $8. The complete Dragon Age experience for one low price of $5. Perfect if you want to try the first in the series before diving into Dragon Age: Inquisition. The average price for this game since released is $27.14. The game first became 50% off on Sep 5, 2011 at Amazon. Lowest historic price was $4.99 on Mar 19, 2013 at Best Buy. I don't think this applies to the PS3 version as its not showing on the best buy site. Lowest price yet on Dragon Age 2 at Amazon. Well worth it for those who haven't played the Champion of Kirkwall yet. Everyone I know plays through this game twice... I had to play through twice because I completely missed the Isabella character the first time. She adds 50% more humor to the game. Amazon slashed the price of Dragon Age 2 for the PS3 and Xbox 360. For these platforms this is the first price drop under $30 since it's March 8 release date. As far as RPG's go this is the most well written I've played. The average price for this game since released is $6.57. The game first became 50% off on Jun 25, 2012 at Amazon. Lowest historic price was $2.99 on Oct 22, 2015 at Origin. Dragon Age: Origins slashed to only $2.99 in a weekend sale at Origin. Lowest price we've seen this year. Only free for a few more hours. If you have an EA Origin account you'll want to add this one to your collection for $0.00. If you "buy" the game now for $0.00 it'll stay in your Origin collection forever, not just until tomorrow's expiration date. Slay the darkspawn on the cheap... or rather for $0.00 now at Origin. Their Free PC Download of the month is a pretty stellar offer, and timed perfectly to get gamers hooked for the November release of Dragon Age Inquisition. One of my favorite RPGs for sure. The average price for this game since released is $12.49. The game first became 50% off on Sep 26, 2012 at Origin. Lowest historic price was $10 on Sep 26, 2012 at Origin. The average price for this game since released is $8.63. The game first became 50% off on Jun 25, 2012 at Amazon. Lowest historic price was $4 on Apr 19, 2013 at Green Man Gaming. A suggestion, if you guys could start listing whether it's Steam or Origin, as that makes a huge difference for a lot of people, myself included. Yup we'll have a sub-headline showing what DRM a PC download game is using (Steam, Origin, etc) implemented ASAP. Might take a bit given the scope of retailers we deal with and variety of DRM out there, but definitely a much needed additional info! The average price for this game since released is $13.59. The game first became 50% off on Aug 30, 2011 at GameStop. Lowest historic price was $3.74 on Jan 14, 2014 at GameFly. If you're looking to get Dragon Age Inquisition on PC but need a copy of DA2 to play through in the mean time, a deal emerged today at Origin. Today they dropped this and Mass Effect 3 down to six bucks - both near their all time lows. Dragon Age 2 download key is only four bucks today on Amazon. That's a mere $0.25 off its all time low last seen during the 2013 Winter Sales. At Origin and just about every other digital retialer you'll have to fork out the full $20 MSRP. $4 Dragon Age 2 today at GameFly. Ties the all time low last seen in April 2013. The cheapest it got in the recent Winter Sales was $5, but normally goes for $20. Dragon Age 2 on PC only $3.99 today at Gamefly after coupon. If you're looking for a fun, casual, story-driven RPG it's worth four bucks. 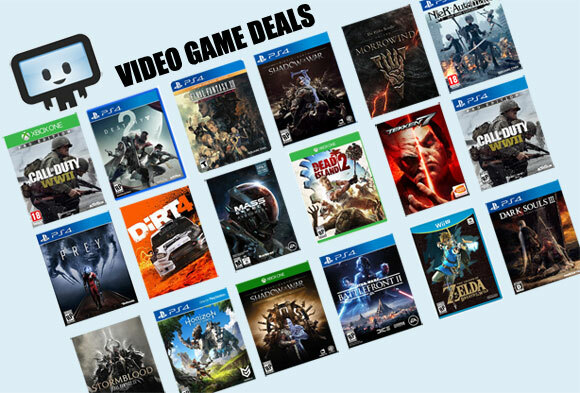 Next best price online is $10 at Green Man Gaming but most download sites are $20. Looks like it expired - thanks for the heads up! Dragon Age 2 PC and Mac download is only $5 this week at Amazon. Cheapest we've ever seen by $13. While the world is not nearly as big as other RPGs like Skyrim it's a fun game that works. Good game mechanics, decent story line, fun to play... and now quite cheap. Bundles basically everything available in the series, Dragon Age: Origins Ultimate Edition and Dragon Age 2. Coupon is SINGLE USE! The average price for this game since released is $16.42. The game first became 50% off on Dec 28, 2012 at GamersGate. Lowest historic price was $7.99 on Oct 26, 2013 at GameFly. Dragon Age 2 + Everything Dragon Age Origins bundle is only $10 today at GamersGate. If you buy at full price you could pay as much as $40 separately. Dragon Age 2 & Dragon Age Origins Ultimate Bundle only $8 after instant savings + stacking coupon at GMG. Includes Dragon Age Origins Ultimate Edition (DA Origins, Awakening, and all DLC) and Dragon Age 2. Solid price on Dragon Age 1 + 2 bundle from GMG during the EA/Origin sale. Includes Dragon Age 2, Dragon Age: Origins Ultimate Edition. The bundle on Origin, of course. I've played both games and while Dragon Age 2 could be better, it was enough to get me interested in getting the 3rd game, Dragon Age Inquisition (eventually anyways). Steam has Dragon Age Origin Ultimate Edition for $9 but why not add $3 to it and also get Dragon Age 2 while you're at it? Activates on Origin. Released in March 2011, Dragon Age II players assume the role of Hawke, a human mage, who fled from the Darkspawns to Kirkwall with his family. The story is linear and predictable. Although, the game progresses depending on player choices, the decisions don't make huge impact to the game. Hawke makes his way to become Champion of Kirkwall and ultimately becomes either Viscount of Kirkwall or a mage who flees the city. There's not much improvement in graphics compared to its prequel. The characters still look unpolished and the views of the small city of Kirkwall can be tiresome. Voice acting is fine but soundtrack is not as appealing. Character customization is not an extensive as other RPG games and level progress involves adding skills, tactics, and character attributes. There’s no option to pick a race because you start off as a human, and you can’t change the default look of Hawke, unless you choose the female version. The combat system for PC version is a bit different from the console versions. While it is a RPG style, the game almost becomes a hack-and-slash on difficult mode. Dragon Age 2 gets two thumbs up from the critics but not from its users and fans. Most fans loved Origins that they expected Dragon Age 2 to offer new skills and a tremendous improvement in visuals and storyline. This game gets 72 out of 100 stars. If you placed your order before January 2011, then you automatically received the BioWare Signature Edition. Also, you get in-game bonuses if you complete the free demo.